When you think about luxury wristwatches, two popular brands instantly come to mind - Rolex and Omega. Both of these wristwatches are symbols of status and exclusivity, and both are fairly expensive to the average consumer. There are some differences between the two brands, however, and they can be significant depending upon your situation and needs. 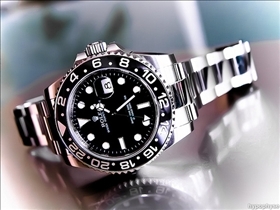 Rolex has long been known to be one of the most expensive and exclusive wristwatches on the market. Certainly a Rolex watch is going to carry with it some added expense simply because of the name. An Omega watch is also quite expensive, though not on the same level as a Rolex usually. An Omega watch has a legacy and strong name, but they tend to price their watches based on features and benefits. This does not indicate that they are inferior, and it does not indicate that the features and benefits are less in the Rolex line. It only means that the Rolex focuses and even depends on that long lasting name and history. If you were to line up several watch aficionados, and ask each of them whether a Rolex or an Omega watch is more attractive, you would likely get a fairly equal set of answers. Both of these fine watchmakers produce absolutely breathtaking watches. Rolex is known throughout the world for having some of the most incredible visual masterpieces ever seen. Omega watches in their own right are visually appealing. Rolex tends to be a bit more flashy, while Omega seems to be more focused on function and practicality. Both remain very luxurious however. In some circles, the Omega line of wristwatches are considered superior to the Rolex. It really just depends on what you value the most - history or function. Both give you copious amounts of each, but they specialize a bit in one or the other. There is no question that Rolex demands a much higher resale value over Omega. This is one of the reasons that many people prefer Rolex. People who purchase high-end watches of this nature often change them out for the newest and greatest models. When you go to trade up with a Rolex, you are much more likely to get fair market value. Omega wristwatches hold their value quite nicely as well, though they do not begin to compare to Rolex in this manner. If you are planning on trading up or want to one day sell your watch for a profit, then going with Rolex would be the best choice. While both Rolex and Omega wristwatches are outstanding, the Rolex is a cut above by most people’s standards. The history and exclusivity of a Rolex is nearly impossible to replicate in the field of wristwatches. To their credit, the Omega wristwatches are a very close second in the world of luxury timepieces. Which watch would you rather wear right now? 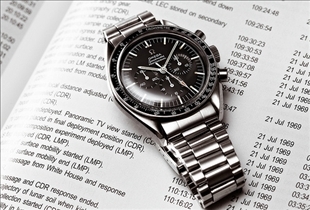 hi, dont forget that rolex daytona never have been on the moon, and never in the future because is simple an regular watch, and the only on the moon was omega speedmaster. hi, don't forget that nobody goes to the moon, and never in the future neither you and I will. but I tell you this, if I ever go a few days to the moon, I will buy from you an omega so you can get your sales numbers.